Completed Interior Project in Indiranagar Bangalore. At UTOPIA We have unique designs for all our clients…! A glimpse of project handed over to client at indiranagar Bangalore up to their satisfaction. Interior design firms in Indiranagar Bangalore. Completed Interior project for Mr.Santanu in Indiranagar Bangalore. About Our Completed Interior project in indirangar bangalore. 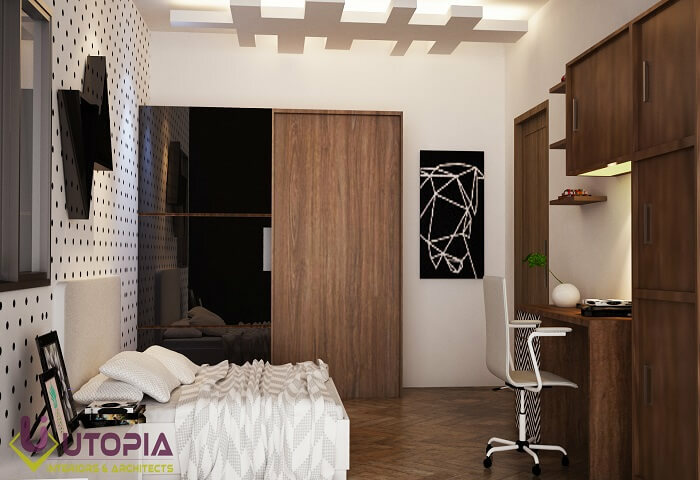 Utopia being one of the best interior design firms in indirangar bangalore takes great pleasure to first understand the requirement as well as visualize our clients home through their eyes and plan and create the 3D presentation of the project so that our clients can make all decisive changes in advance and get there perfect dream home. 3BHK flat interior works for Mr. Shantanu located in indirangar bangalore meticulously designed making Utopia a leading interior designers in indirangar bangalore. The project was a great experience for us as we have demonstrated simplicity with a touch of elegance and grace in design.Utopia is one of best architects and interior designers in indiranagar bangalore had executed this project beautifully according to client requirement and taste.